Anna O’Shea and her nephew Joseph are transported from the 21st century Massachusetts to 19th century Ireland. Separated by the time travel, Anna is taken in by kind coastal villagers while Joseph becomes the charge of a wealthy English lord in the eastern country. 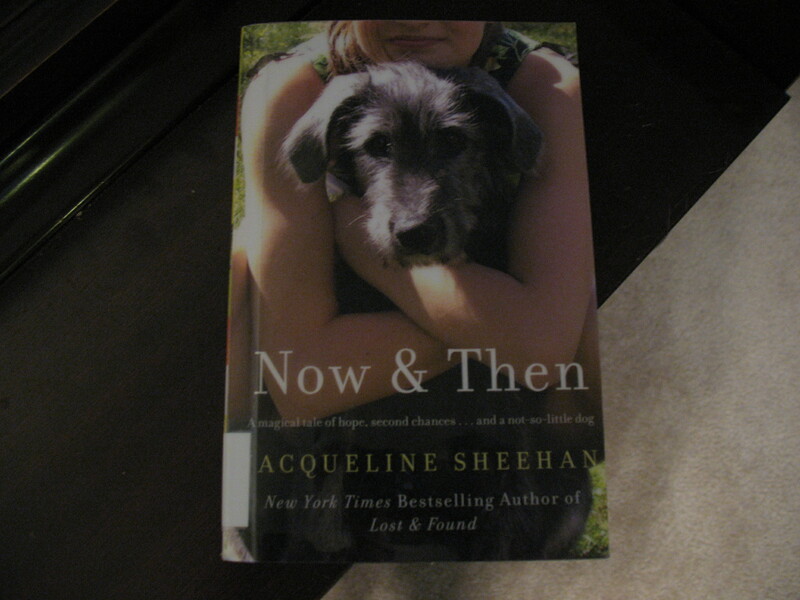 Despite reading mixed reviews of this book, I was intrigued by the time travel aspect of it. I had really liked the intricacies of the time travel aspect in Audrey Niffenegger’s The Time Traveler’s Wife. Alas, this book is not very good. I’ll give it credit for at least being interesting enough for me to finish it. I liked Anna’s friendship with the Irish woman, Glenis, for instance. And I wanted to see how Anna and Joseph would return to their own time. I like supernatural and surreal elements in books but I have decreasing patience with the sort of mushy ‘second sight’ mysticism as displayed here. It doesn’t feel like it’s been thought through. The characters never felt fully credible, only half-fleshed out. I didn’t quite understand why they did some of the things they did. Poor book had to follow I Capture the Castle so its failings in this regard stood out starkly. And the book doesn’t really have much to do with dogs, as the cover picture and back description would lead you to expect. I knew about the misleading packaging beforehand, so it didn’t affect me, but I feel like I should tell others this. Indeed, the book has more to say on horses, wrestling and dental health than on dogs. On an interesting note, this was a library book but a previous reader had penciled in critical comments there and there, mostly on anachronisms or possible historical inaccuracies. I think it’s a big no-no to write in library books, even in pencil, and found the comments distracting. I cannot get too outraged, considering I did not like the book overall myself, but still. 17-year-old Cassandra Mortmain lives in a rundown castle with her family, sometime in the mid-20th century. When two brothers, the adult grandsons of the Mortmains’ recently deceased landlord, arrive to check the inheritance, it means change for everyone in the family. In a series of insightful and witty journal entries, Cassandra captures all of these changes as well as her own coming-of-age. I Capture the Castle does that. Sure, plenty of things happen in the novel, but the book is distinguished not by plot alone, but by its understanding of people. 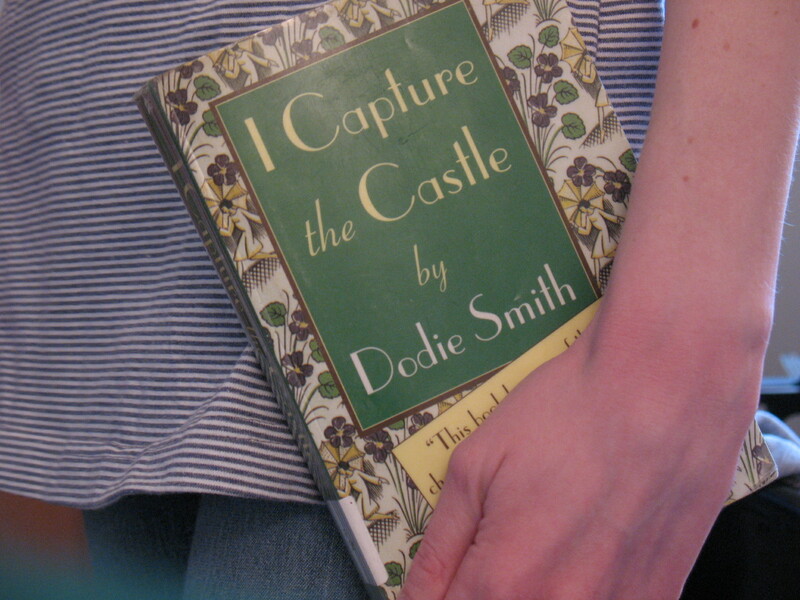 We are complicated packets of changing motivations and contradictions and Dodie Smith conveys this through the clever voice of Cassandra Mortmain. Cassandra is a thoroughly likable narrator, clear-eyed but conscious that she has much to learn about life. The rest of the characters are engaging as well, as seen through the prism of her viewpoint. He went on to talk of her for quite a quarter of a mile . . . Everything Rose does is original, apparently, even the way she dances, inventing little steps of her own. And she is so intelligent – he kindly said I was, too, but Rose is a wit (a fact not as yet disclosed to her family). I had to laugh at Cassandra’s parenthetical comment. I can imagine her surreptitious raising of eyebrows at hearing this particular praise of her sister, who is vivacious but not particularly witty. I Capture the Castle is definitely one that I will purchase down the road. All those who spoke to me of this book did so with great affection and I will now join their ranks. 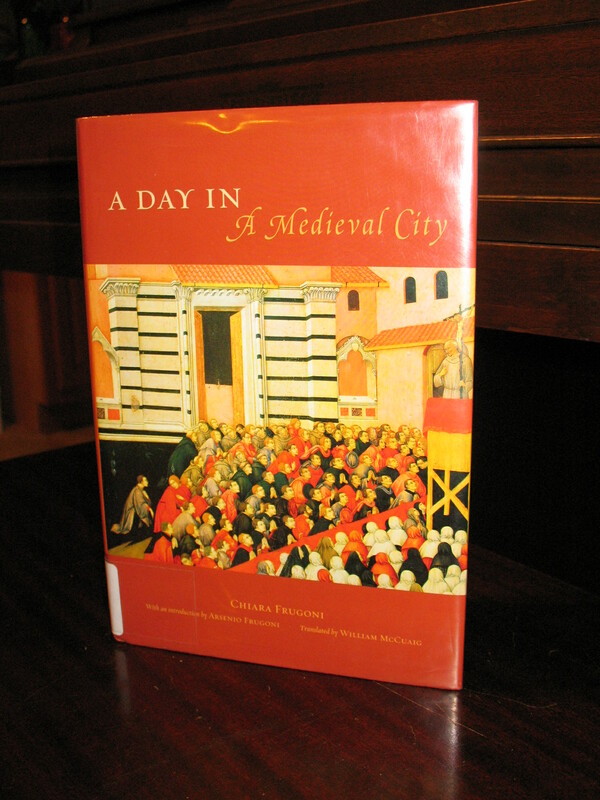 In this short scholarly work, Frugoni paints a picture of life in a medieval city. She extensively uses medieval literature, art and other primary source material to support the text and to show details. There are many illustrations contained in the book. I’ll be upfront and say that I skimmed parts of this book. I did this partly because of an impending library due date. However, sometimes Frugoni would go off on a detail or a medieval tale that did not interest me and I skated over those parts. It’s an academic work, so it was easy to slip into the information gleaning habits from my college years while reading it. There are a lot of fascinating tidbits to glean. Medieval townspeople were constantly in each other’s lives, borrowing fire and water, exchanging gossip at the well, at benches outside their door and in the narrow streets. Medieval city-dwellers often built their kitchen on the top floor so that if a fire started, it would not be so devastating. Medieval doctors operated mostly by examining the patient’s urine in a glass container made for that purpose. You can spot them in medieval illustrations because they hold this signature container. Obviously these doctors were usually quacks and so it was sometimes professional envy that stoked witchcraft accusations against the more effective midwives. The book talks at some length about medieval people’s religious worldview. I thought perhaps Frugoni could have gone into less depths about this worldview and said more about how their daily lives were directed by the worldview. The illustrations are definitely the book’s greatest asset. I’m guessing that some of these illustrations would be hard to see published anywhere, not to mention published with helpful commentary. A number of these pictures consist of stories told in panels. One such story is of a gambling woman who, piqued at a betting loss, throws a stone at a statue of the Virgin Mary. As the shocked bystanders watch, an angel statue to the left of Mary blocks the stone’s trajectory. For her blasphemy, the people burn the woman and the last panel shows them looking at the fire in great satisfaction. Certainly the book makes me glad to live in the 21st century. My favorite illustration is that of medieval townspeople engaged in a snowball fight. For all that their ways were strange to me, seeing them at play in the snow was a fun moment of connection to the past. I’m going to add two more cool-sounding challenges to my 2010 roster of challenges (which already includes Poetry, Flashback, Thriller & Suspense, Colorful, 2nd Reading, and What’s in A Name, as well as my personal 19 books older than I am.) I expect a number of books will meet more than one challenge, and I may not finish some, but I won’t let that stress me out. Why I’m joining: I took a class about memoirs in college that was really enjoyable, so I’d like to get back to reading more of them. Plus Jeannette Walls’ wonderful The Glass Castle has whet my appetite for it again. 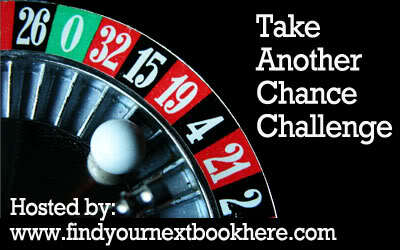 In sum: There are twelve intriguing challenges and participants can join either 3, 6, or all 12. I will take on 6, since 3 seemed too few. In a nutshell: Osama al-Kharrat returns to Lebanon to be at his dying father’s bedside. Alameddine weaves in al-Kharrat’s family history with traditional Middle Eastern tales, including two lengthy, episode tales: tales of the courageous Fatima and tales of the slave prince Baybars. 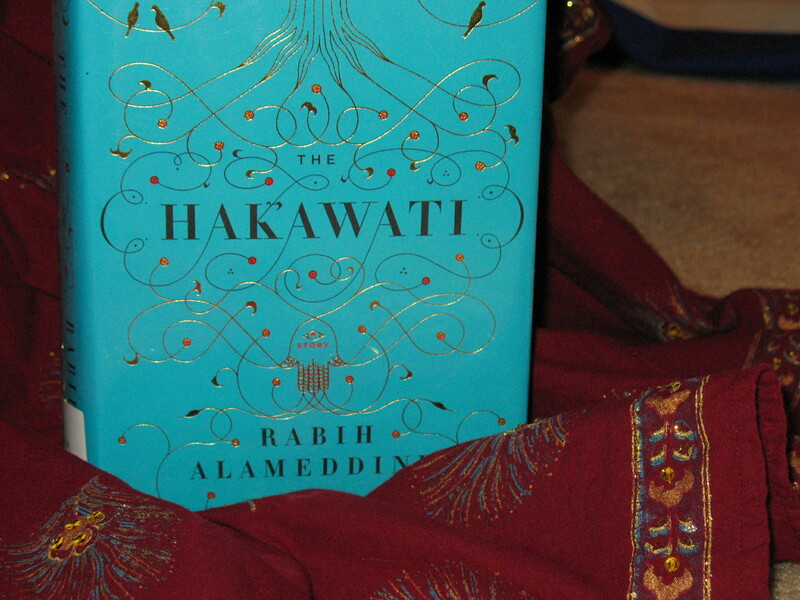 Review: The length of the Hakawati was daunting, but I never felt that reading it was a chore, or something to slog through. Not long into this book, I thought “now this is a natural storyteller.” Alameddine’s writing has an effortless flow and is very vivid. You can see the expressions on Osama’s sister’s face, or hear the dialogue of Fatima and the djinn. There are many stories packed into the book, and many kinds. There’s action, humor, tragedy and romance. There were little stories inside other stories. Some of the tales got a little crude for my tastes, especially the one involving Shams and Layl. But overall, I found the stories delightful in their variety and appealing characters. I loved the legendary character of Fatima. One of the things I most appreciated about the book is how immediately engrossing it was. And it didn’t matter if I put it down for a few days and picked it back up – there was very little reacclimation needed. Hello, I’m back from spending Christmas and some vacation days at my older sister’s home in Illinois. Snow followed me there – lots and lots of snow. We stayed indoors mostly, played Settlers of Catan and other games. We also ate plenty of good food. I caught a cold which was unfortunate but didn’t take away the enjoyment of the holiday with family. One of my favorite memories of this holiday season will probably be of Christmas Eve. My sister and her husband live in the upstairs apartment in a house that has been converted into two apartments. Their downstairs neighbors, two parents and a young teenage girl, have a piano and we joined them for singing carols together. My sister gave me Laurie R. King’s Touchstone as Christmas gift. For those of you familiar with Laurie R. King’s writing, this is not part of the Mary Russell series, but is a standalone book. I read Folly, another one of King’s standalone novels, a while back and enjoyed it, so I’m expecting good things here too. Also, when I returned home today, there was a package waiting for me! Inside was A Climate for Change: Global Warming Facts for Faith-Based Decisions by Katharine Hayhoe and Andrew Farley. I was one of five winners for a giveaway of this book hosted by Bookfoolery and Babble. Her review of the book can be found here. I am quite interested in the topic so it was truly a delight to win and I look forward to reading the book. I pulled my mind off the table and stared into the dimness beyond, and then I gradually saw the servants as real people, watching us, whispering instructions to each other, exchanging glances. I noticed a girl from Godsend village and gave her a tiny wink – and wished I hadn’t, because she let out a little snort of laughter and then looked in terror at the butler.